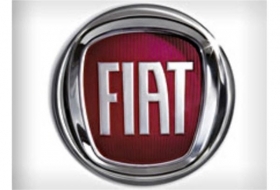 MOSCOW (Bloomberg) -- Fiat S.p.A. plans to build its own factory in Russia, after ending talks last month on a 2.3 billion-euro ($3.2 billion) joint venture with OAO Sollers, to meet a production target set by the government. "We'll go it alone with our Russian project," said Fiat CEO Sergio Marchionne. "We have to keep an eye on our investments. We have a close dialogue with the Russian government." Fiat is considering various regions for the plant, including so-called special economic zones, Dmitry Levchenkov, a Russian Economy Ministry department head, said. Investment in such projects is usually about 1 billion euros, he said. Fiat, which also runs Chrysler Group, is targeting fast-growing economies to counter losses in Europe, its biggest market. Ford Motor Co., Volkswagen AG and General Motors Co. have signed deals with Russian partners in recent weeks to produce cars in the country. Fiat submitted a plan to build as many as 300,000 cars a year in the country, with the Fiat and Jeep brands as the mainstays of the project, the carmaker said last week. "Our vehicles are very suitable for the Russian roads," Mike Manley, head of the Jeep brand, said today in an interview. Russia may become the world's sixth-largest auto market in 2020, with 4 million deliveries a year, the Boston Consulting Group said in a report earlier this month. The nation is now the world's 10th-largest car market, with 1.9 million annual sales, according to the Boston-based consulting firm.